LAVAL, Que. — Byron Froese had a goal and an assist as the Laval Rocket thrashed the Binghamton Devils 5-2 in American Hockey League action Friday. Froese opened the scoring for the Rocket (2-1-0) at 6:56 of a wild first period. Nikita Jevpalovs, David Sklenicka, Kenny Agostino and Alexandre Grenier also found the back of the net for Laval. Nick Lappin and Nathan Bastian answered for the Devils (2-1-0). Lappin's marker less than a minute after Froese's tied the game at 1-1. But Laval replied 21 seconds later and scored four goals in the frame to take an emphatic lead. Cam Johnson made 27 saves in the loss for Binghamton. 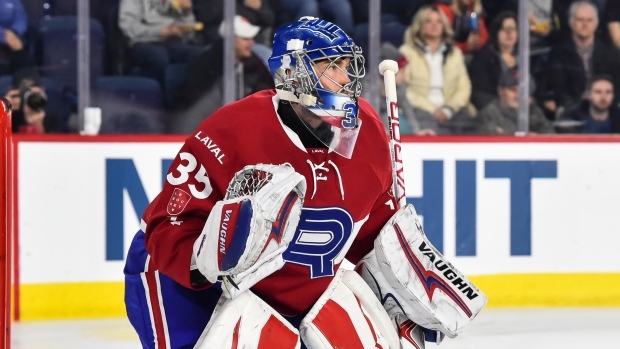 Charlie Lindgren kicked out 17 shots for Laval. Both teams were 1 for 6 on the power play.